My first five and hopefully not the last! Hey! Isn't there a limit of 16 tiles. :optionally, free to position tiles not just on 16x16 grids but with any kind of offset that suits the art you're going to make. Be create, make exquisite corpses! I say it's OK vierbit. Inaugural freak: Might have edited tiles too much? Bah, I got nothing for the Pixel Gods, even an excuse. Now I'm probably going to burn on a pyre, in the flames of gods' wrath! Start assembling bigger pieces from the tiles perhaps? How much time do we have for completing this stage? Ahh.. Finally finished making all 16 little tile-thingies. Touched up on some of the first eight too. Now I'm probably going to burn on a pyre, in the flames of gods' wrath! Take as much time as you want. When I get back from holiday I will SEE TO YOUR FATES. Well, Hi , this is my first post here, and, really, my first pixel ever. bad? More like brilliant. still, you could anti-alias these edges some. Tried my hand at some AA. Here's a fun test made with all (or at least I tried to fit them all) of the tiles you guys made. Of course the subject had to be Helm, since he's the one who started this activity I was astonished by the sheer amount of unique tiles; there were over 400 of them! That's over 100,000 pixels! Great job guys! Sorry for the bad quality of this mosaic picture, the program I used wasn't registered so it allowed me to export only jpg But I will update it if I find a way to make it better! wha... what!? That's amazing! Is there a program that does this, you feed it the tile data and it churns out mosaics? I am so totally impressed! Mannaged to find my tiles too! The program to me seems to pick a few tiles most fitting for each color and use the same over and over...doesnt seem too concerned with variation. if we're using this program I think it'd be good to divide the big picture in different sections, then assign a set of tiles for each section...that way we assure all the tiles get displayed. Mind uploading your tile file system for other people, tero? AWESOME. That made my day. I second this request. I downloaded Mazaika immediately after I saw this. Actually, I was wondering if anyone would do this sort of thing. I would've liked to, but I just didn't know where to find a good photomosaic compiler. I haven't tried this tool but it's in my bookmarks since ages, so maybe it's useful for somebody who doesn't like to download a tool for this task. Here are the tiles. They are still missing a few, for example I can't get Conceit's tiles to show, so they are not in this bunch. But I will add them later if the link to his tiles gets fixed. No, still showing the red X. Even if I copy the url to an address bar and try access it straight, it shows only red X. Well, in a picture that big you have over 10,000 tiles. That said, it means that every unique tile is used 26 times, if they are evenly divided. But of course they are not. But still at least there's a possibility that all of them are there, some more than 26 times, some less. To be sure, everyone should try to find all their tiles at least once and then report back to us if they didn't find all of them. At least I found all my tiles. What do I win? +1 karma maybe? 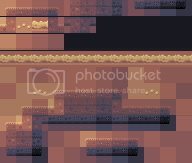 I uploaded Conceit's tiles to my Photobucket. Can you see them now? Yes, thank you. Now I can add them to the bunch. thank you guys! =o I dont know what's wrong...they show for me! Does my avatar show? Everything shows for me Conceit. And man, that's pretty damn neat. Lol, the eye of horus is on Helm's eye. Seen two of my tiles so far.